Often when talking to innovative designers and inventors in the Business & IP Centre, I discover they have a great fear of having their intellectual property stolen. Of course there are many examples where this has occurred. Our very own inventor Mandy Haberman had her idea for the Anywayup Cup copied, and had to win a legal battle to regain her rights. This experience has turned her into something of spokesperson on the topic. However for many new products such as the Wattson mentioned in a previous blog post, the key is being first to market, and keeping ahead of the competition. The other winning approach is to produce a design classic first time out. 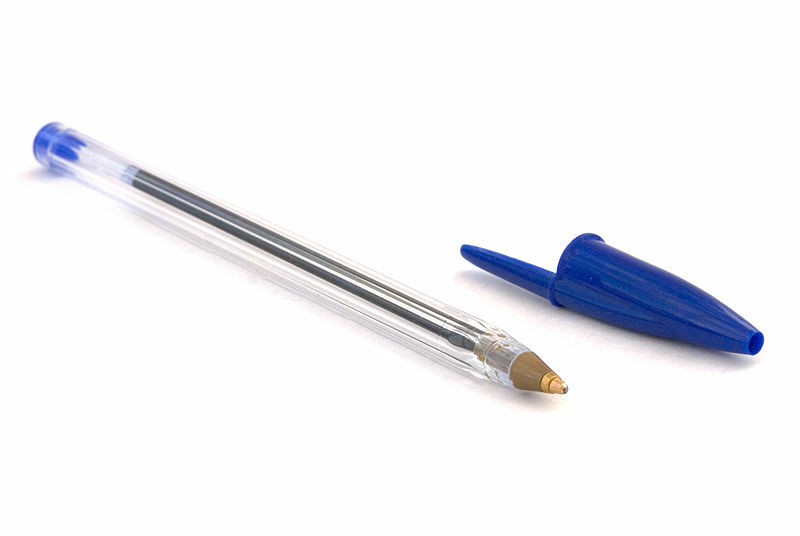 A case in point is the Bic Crystal ballpoint pen. Designed by Marcel Bich, more than 100 billion Bic pens have been sold since 1950 – enough to draw a line to the moon and back more than 320,000 times, according to the Observer newspaper. The only variation on the original design was to create a hole in the cap to prevent choking. The pen has even become part of the permanent collection of the Museum of Modern Art in New York, and has been reinventing in various guises. This entry was posted on Thursday, July 31st, 2008 at 10:31 pm and is filed under Design, entrepreneurship, gadgets, inventions, IP issues. You can follow any responses to this entry through the RSS 2.0 feed. You can leave a response, or trackback from your own site. There’s something about the feel of the Bic ballpoint pen over other types. I like the smooth roll against paper when I’m taking notes.